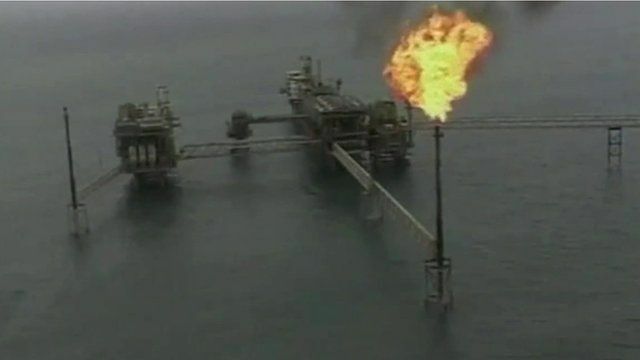 'Industrial' theft of Nigerian oil Jump to media player Nigerian crude oil is being "stolen on an industrial scale" according to think tank Chatham House. Tomi Oladipo reports. Shell 'happy' with Nigeria verdict Jump to media player A Dutch court has rejected four out of five allegations of environmental damage against the Anglo-Dutch oil giant Shell in Nigeria's Niger Delta region. Mixed reaction to Shell ruling Jump to media player A Dutch court has rejected four out of five allegations against Anglo-Dutch oil giant Shell over oil pollution in Nigeria's Niger Delta region. 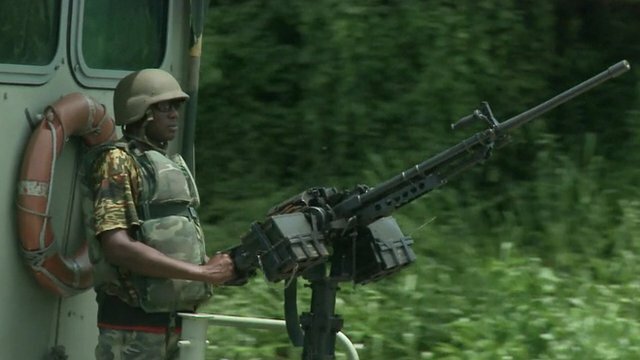 Niger Delta's peace broken by violence Jump to media player It has been almost four years since an amnesty was given to thousands of Nigerian militants who were causing havoc in the Niger Delta, but relative peace has recently been broken. Nigerian crude oil is being "stolen on an industrial scale" according to think tank Chatham House. The theft and damage costs Nigeria an estimated $5bn a year in lost revenue. Stolen oil from this area could be finding its way onto global markets and the proceeds are likely to be laundered in financial centres like London, Singapore and Dubai.